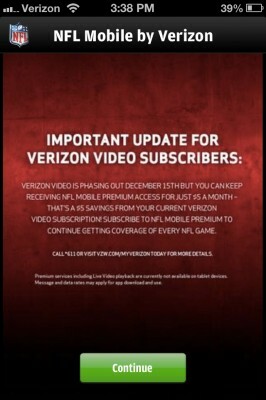 Verizon Wireless is pushing the “off” button on the pioneering mobile video service once known as Vcast Video. The service, which launched in 2005, will go dark on Dec. 15, although the carrier will continue with its fairly recently launched Viewdini video discovery service. 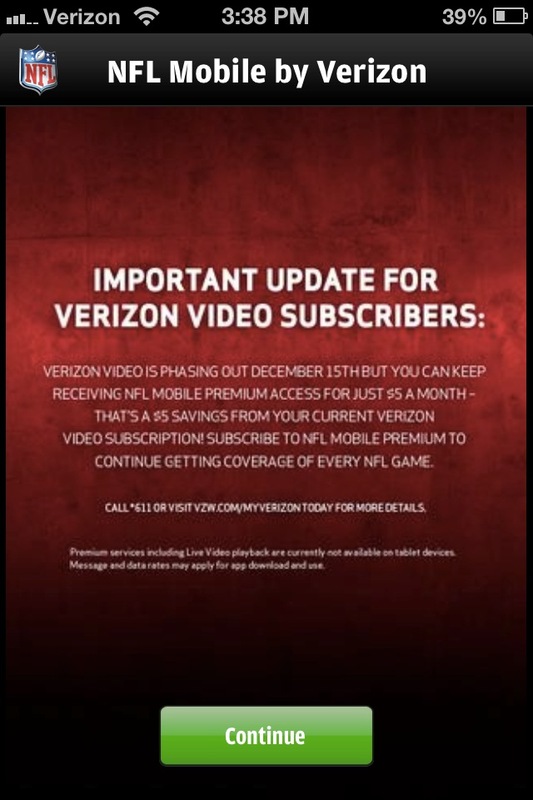 Mobile access to NFL games will continue through NFL Mobile for $5 per month. Verizon’s move comes as it is also closing another former Vcast service, its Verizon App Store. Platitudes aside, the video service was included in a number of the carrier’s paid service bundles, so those who are paying for the Smart Phone App Pack and other bundles might want to give customer service a jingle.